Jolie Hiers, Spanish and Foreign Language Education ’18, is a student of the Honors College, a William Aiken Fellow, a College of Charleston Presidential Scholarship recipient, and a member of the Honor Society of Phi Kappa Phi and the College of Charleston’s national-award-winning chapter of Sigma Delta Pi, the National Collegiate Hispanic Honor Society. 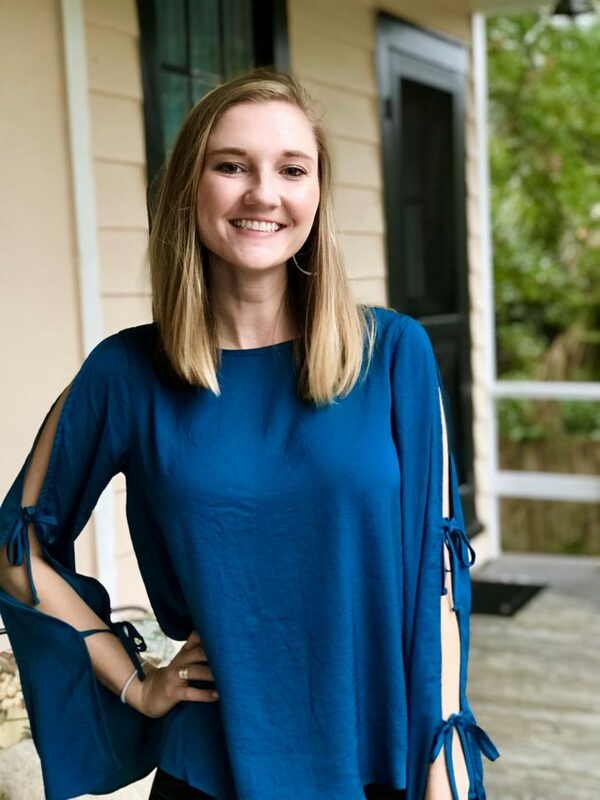 In addition to her academic achievements at the College, she is currently a peer teacher for the Department of Hispanic Studies, and she served as a tutor for the Center for Student Learning, Co-Coordinator/Liaison for the Honors Engaged program, and College Ambassador, among other activities. She has also studied abroad in Heredia, Costa Rica and Trujillo, Spain. My experience as a Spanish major here at CofC has been amazing. Through this major I was able to study abroad in Spain and Costa Rica, which were both experiences of a lifetime. The professors in the department have been amazing mentors and educators, and I feel well-prepared to for my future career as a Spanish teacher. After graduation, I have applied to teach English in Spain through a Fulbright grant, but I am still waiting on the final notification. The following year, I plan to teach high school Spanish in South Carolina.